Responsible for the design, development and maintenance of existing Pensions Administration System as well as external client facing self-service administration system. Apply your skills as a member of a focused, technically competent development team that prides themselves on excellence. This position requires a passion for technical design, development, problem solving, and the ability to learn new concepts quickly. "EUR-	Building a comprehensive understanding of Linux, Unix and Oracle applications, systems and infrastructure across the organization. "EUR-	Communication with clients, key stakeholders and development teams on technical solutions. "EUR-	Provide level 3 technical support on Oracle, UNIX and application issues. "EUR-	Installation and configuration of software. "EUR-	Taking a lead on new technical integration projects. "EUR-	Aptly manages team demands on his/her time and shows willingness/ability to delegate technical execution or responsibilities when appropriate. "EUR-	Acts as a liaison or primary point of contact for communicating with client side technical expertise and client contacts. "EUR-	Participates in the evolution of company level best practices, standards, and policies as it relates to software development. The successful candidate will have considerable experience in Unix and Oracle and will have a background in software development and architecture. The candidate will need to understand the whole stack from operating systems, databases, web servers, configuration management, and architecture and software development. "EUR-	Bachelor"EURTMs degree or proven experience as an Oracle Architect/TDA. "EUR-	Understands and can communicate well on all aspects of the software development lifecycle e.g. requirements, analysis, design, implementation, testing, documentation and associated methods (Waterfall, Agile, Iterative Development, etc.). "EUR-	Experience of web concepts and web servers (e.g. Apache, Nginx, Open source). "EUR-	Must be able to manage time and prioritize an individual open case queue. "EUR-	Oracle development database administration experience (DBA). "EUR-	Thoroughly document all technical design and solutions following company"EURTMs Professional Excellence Model for Software Development. "EUR-	Participates in technical training programs and self-directed learning. Stays informed of new technology. "EUR-	Coaches / mentors others. "EUR-	Scripting languages e.g. Python, PHP and Perl. The Company Willis Towers Watson is a leading global advisory, broking and solutions company that helps clients around the world turn risk into a path for growth. With roots dating to 1828, Willis Towers Watson has 40,000 employees serving more than 140 countries. We design and deliver solutions that manage risk, optimize benefits, cultivate talent, and expand the power of capital to protect and strengthen institutions and individuals. Our unique perspective allows us to see the critical intersections between talent, assets and ideas "EUR" the dynamic formula that drives business performance. Together, we unlock potential. Learn more at willistowerswatson.com. 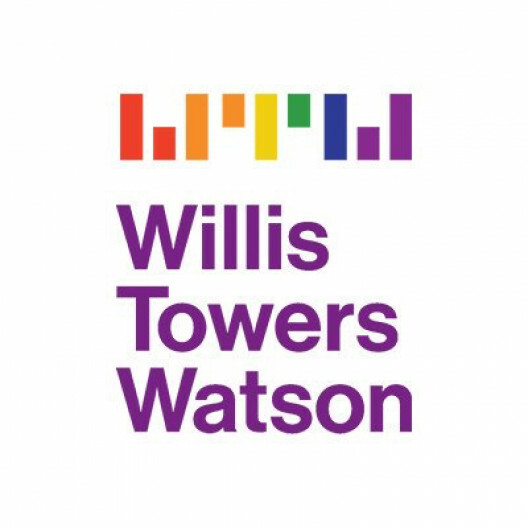 Willis Towers Watson is an equal opportunity employerWillis Towers Watson believes that effectively managing a diverse workforce is vital to our business strategy. We have an obligation to our organization, ourselves and our clients to hire and develop the best people we can find. We will continually review our policies and practices to ensure that all areas of the employment process (including recruiting, hiring, work assignments, compensation, benefits, promotions, transfers, company-sponsored development programs and overall workplace experience) are free from discriminatory practices. We are committed to equal employment opportunities at Willis Towers Watson.